Post-DoJ: But could no-DRM benefit Amazon? Is that a chip on your shoulder, or are you just carrying John Sargent around the room one more time? In a week of sometimes rancorous debate about the actions of the U.S. Department of Justice and the responses from sued publishers, an initially zany-disaster mode has darkened into a more serious tone. The sense of a real and present crisis should by now have caught up with you. Some of our better heads have, as ever, produced useful, thoughtful commentary. Even so, a lot of folks probably feel battered by the back and forth between pundits, some of whom seem more eager to look smart than to advance much understanding of what’s going on. It’s a time when no one seems able to just be quiet. There is some minor news, as the Ether begins floating for this week, of progress in the suits brought against publishers by 15 states’ attorneys general. And before I offer you a little romp at the clifftop of the pundits’ party, I’d like to give you the view of an observer who stands just outside the main coterie — not one of our usual suspects. He had the courage to pre-emptively send an email to hundreds of industry insiders this past Wednesday. In that email, Sargent did something that gives me great hope about the future of publishing. Publishing veteran Shawn Coyne blogs at Steve Pressfield’s site. His series of posts there is called “What It Takes,” and it runs on Fridays. In Publishing is Personal, Coyne acknowledges competing forces of change in publishing today. In doing so, the guy does a rare job of showing the poise of good punditry. I wish we saw more of this. At the foot of the cliff, Coyne minces no words. The fact is that the agency model is dead. And the reality is that it was only a stop gap anyway. I think John Sargent should swallow his anger and good old-fashioned American stubbornness about this footnote in publishing history and redirect his passion. Let’s face it; the future of book publishing is B2C — business directly to the consumer. If you can talk to the consumer and the consumer trusts you, you’ll survive. If you rely on other people to talk to customers for you, you’re in deep trouble. (Sargent) and his fellow publishers—separately of course—should focus their energies and resources on innovation. 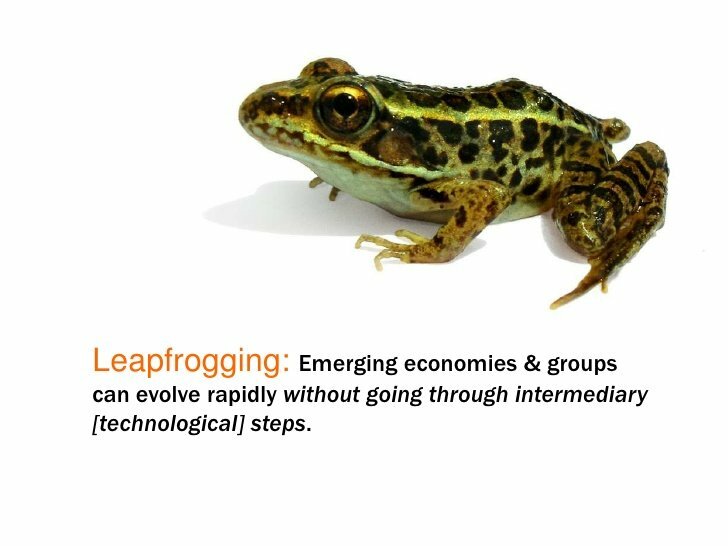 Not strategies to manipulate “terms of sale,” but real innovation. All does not have to be lost. 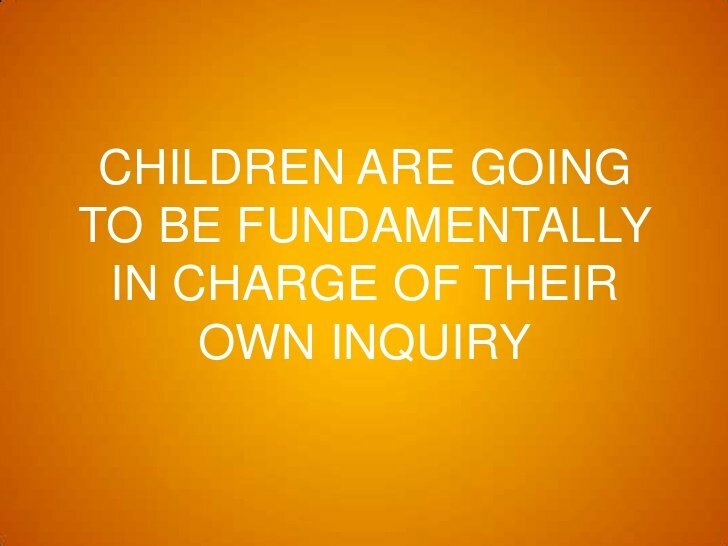 And that’s the crux of Coyne’s message. The mistake has been these defensive dodges, these sniping guerrilla efforts to get around Bezos with agency pricing or alleged collusion, marketplace skirmishes, feints in the kasbah. The strategy has been reactive, not proactive. Don’t skip the end of Coyne’s piece. It’s the attempt of a veteran to rally a weak and tattered field, among a dour debate that has exhausted most of us. Bookigee’s Kristen McLean made her presentation on trends in the children’s consumer market at TOC Bologna. This slide is from her deck. 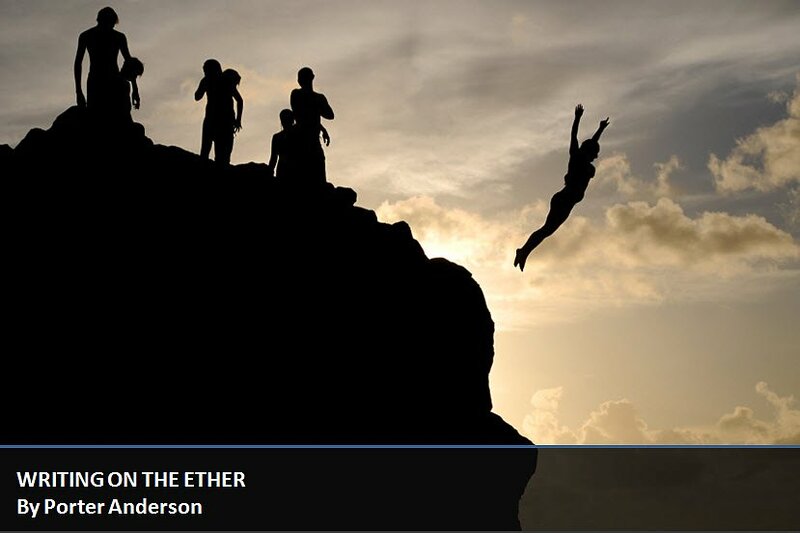 Many of the images in this edition of the Ether are from Kristen McLean’s slide deck for her presentation at TOC Bologna. 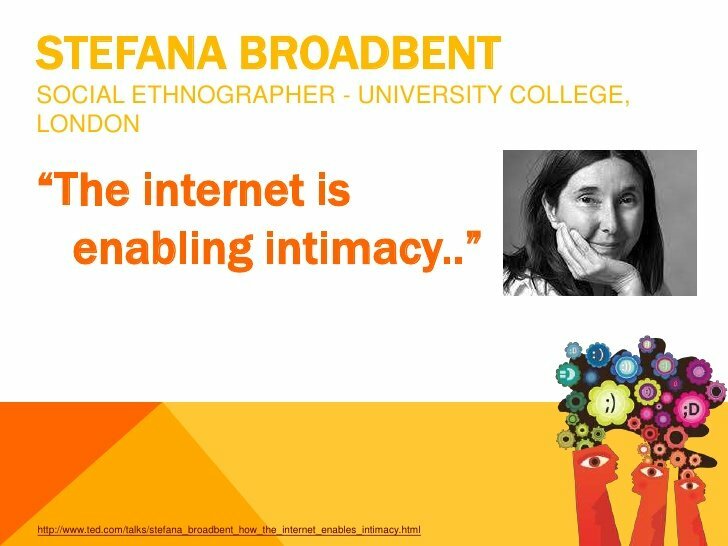 McLean, whose company, Bookigee, is building the WriterCube service for authors, covers a range of issues, both short- and long-term, in her presentation from which these slides are drawn. 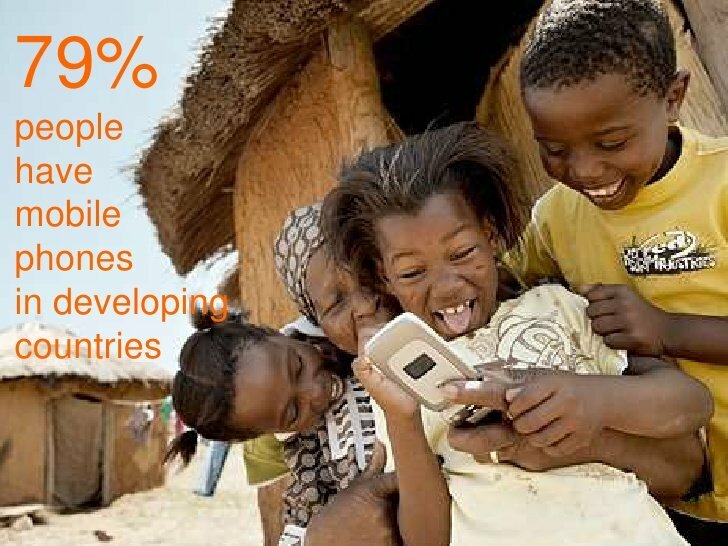 Here is her complete deck, Trends in the Kid’s Consumer Market. If you need the basics of the situation, Laura Hazard Owen is updating her Everything you need to know about today’s e-book lawsuit in one post at paidContent, a real service to all of us. Author Dan Agin: In keeping with bringing you a voice or two from outside the normal ring of fire here, I’ll start us off on a quick run through some commentary with the wryly headlined EBooks: Windbagging the Price Issue. For the record, I normally reject material from the Huffington Post for the Ether because I dislike its non-payment of so many journalists — and I dislike their capitulation to that policy, as well. I feel this one’s worth the exception because Agin seems willing to put some sharper edges on things than many of our regulars are. The idea that the DOJ is wrong because their decision benefits Amazon is ridiculous. The issue is that Apple and the Big Six apparently colluded to fix prices and thus broke the law. If stopping the collusion benefits Amazon, the Big Six and Apple need to find a better way to compete. Breaking the law is not an option. 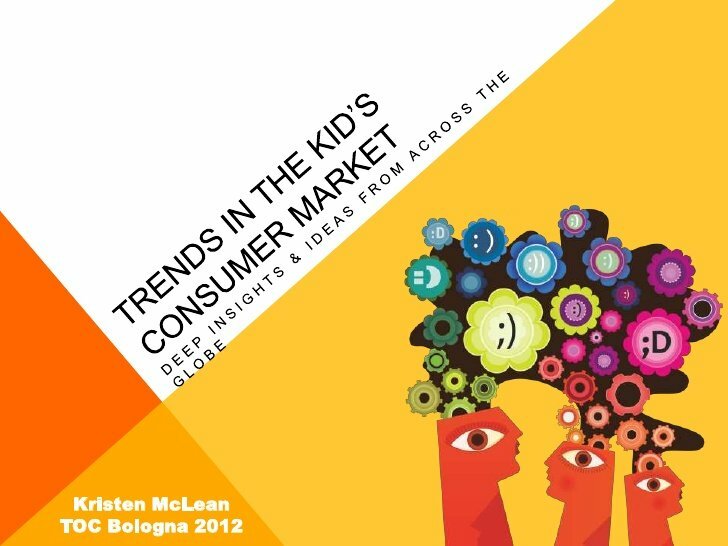 Bookigee’s Kristen McLean made her presetation on trends in the children’s consumer market at TOC Bologna. This slide is from her deck. A monopoly is against the public interest only when it results in artificially high prices that cost consumers extra money. A monopoly that results in LOW prices is NOT against the public interest. All over the country, we have monopolies of electric power, transportation, natural gas, and so on — because it’s ultimately cheaper for the public than having sixteen power companies in one city driving everyone crazy competing with each other. Authors, agents, editors, and publishers in the publishing industry need to understand the single most important reality of industrial progress here or anywhere in the world in a free market society: If a technological change results in lower production cost and lower consumer cost and more efficiency, you either roll with the change or it will roll over you and squash you flat in the dust of history. I would summarize the situation this way. Amazon…and the most price-conscious ebook consumers have won. Everybody else in the ecosystem: authors, publishers, and other vendors, have lost. The reaction from all quarters seems to confirm that analysis. I’d actually expect precisely the opposite. I think Amazon will do the splashiest discounting they possibly can, making the point as loudly as possible that they deliver the lowest prices to the consumer and daring their competiton to match them. Will Amazon sell the eBooks exclusively or will they also sell them through Apple, Kobo, Barnes & Noble, Sony, and others? Would those others allow Amazon to sell them? First, from David Carr at the Times, a story headlined Book Publishing’s Real Nemesis. The Justice Department finally took aim at the monopolistic monolith that threatened to dominate the book industry. So imagine the shock when the bullet aimed at threats to competition went whizzing by Amazon — which not long ago had a 90 percent stranglehold on e-books — and instead, struck five of the six biggest publishers and Apple, a minor player in the realm of books. That’s the modern equivalent of taking on Standard Oil but breaking up Ed’s Gas ’N’ Groceries on Route 19 instead. Does he even know what the anti-trust suit was about? What “monopolistic monolith”? This is the first of his cheap shots by implication at Amazon. There was no “Standard Oil” that was being aimed at. It was Apple and the Big Six (who became the Big Six by gobbling up all the other publishers in NYC that once existed!). Under the wholesale arrangement with Amazon, the publishers received half of the list price, which yielded better money, but gave them no control over the pricing of their product. Wait. The Big Six were actually pulling in more money from Amazon under the Wholesale Model that had been in existence for several decades? Yet they wanted to control their prices so they could make less money? Yes, publishing is that screwed up. A $9.99 eBook makes expensive hardcovers “seem” expensive — but what about all those eight-dollar mass-market paperbacks the Big Six publish themselves? It’s like they don’t exist…They can make profits on eight-dollar paperbacks but not $9.99 eBooks? How stupid do they think people are? How stupid does Carr think we are? You may find it entertaining, at the least, to read the rest of Cane vs. Carr. Meanwhile, a more serious piece — in tone, if not in substance — comes to us from Dublin, where our good colleague Eoin Purcell, in his blog ironically dubbed “It’s that simple — and that hard,” writes I Think Publishers Have Lost The Battle & The War. The thing about the end of Agency is that it’s not over. That is to say that the rearguard action by the legacy publishing establishment isn’t finished. 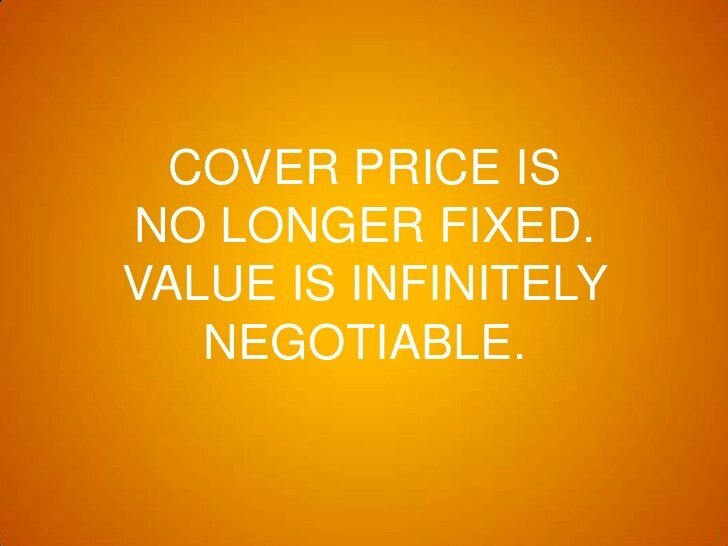 And make no mistake, Agency Pricing and the rules and agreements that supported it were an attempt to stop the clock and buy the established players a breather against the tide of innovation. (Agency pricing) was couched in language that suggested it was about protecting the value of writing and the incomes of authors (and to be fair, many of those offering those lines do honestly believe them), but really it was about protecting company revenues and shareholders profits. I’m fine with those goals, I’m not fine with pretending or convincing myself I’m being noble when I’m not and I’m also not fine with the reader paying the price for that protection. That, and from an Irishman, is a pretty good rationale for the DoJ’s action, by the way, in case you’ve needed one when battling with your buddies at the pub over this. That thing of “the reader paying the price.” This is, although many in the legacy world understandably need to step around it, is the raison d’être of an anti-trust move, the presumed protection of the consumer, not of a group of publishing concerns facing Amazon. Readers were by far the biggest losers in the Agency world. Thus the actions of the big six ran directly counter to their most important stakeholders. The big six hadn’t yet realised that readers had become their biggest stakeholders. They still answered to other management. The legacy system made a calculation that Agency could be gotten away with, and they were wrong. It might have boosted their revenues, given them a huge sense of control and power…but now, as the tide of blood rushes back out of the head and calmer times (populated by longer more reflective periods of courtroom drama and negative headlines) lie ahead, perhaps the big six and those who favoured Agency might reflect not on the loss of Agency and it’s ‘possible’ negative consequences for their business models but on the loss of the moral ground, the real loss of the audience’s goodwill and the battle…to rebuild their image among readers the world over. Just as well-put-together in his own thinking on the consumer, however, is one of our favorite thinkers, Joe Wikert in his post DoJ: Consumer Hero or Predator Enabler? The wholesale model was accelerating the death of other ebook retailers. Amazon could sell all their wholesale model ebooks at a loss until the last competitor was run out of business. The agency model took control away from Amazon by not letting them sell at a loss. This new agency model (mandated by the DoJ settlement terms) is somewhere in between but will definitely put other ebook retailers at a disadvantage, especially if they’re not as diversified as Amazon and unable to make a profit somewhere else. We’re not quite back to square one, but we’re painfully close. That makes me wonder about the publishers who have already settled. Either they’re guilty of collusion or unwilling to take a stand at this very important moment. Neither scenario casts them in a favorable light. There’s one question I’d love to ask Attorney General Eric Holder: When Amazon’s ebook market share climbs back to the 90% level it once was, and competitors are run out of business, will he consider these settlement terms a success? It’s Philip Jones in London who gets back to some of the damaging public perceptions involved. Like the appearance of conflict of interest — always said to be just as bad as the fact of a conflict of interest — the appearance of price-fixing carries a nasty, lasting stain. We might understand the nuances, but for the public agency will forever be remembered as the name given to the conspiracy to keep e-book prices high. This is the focus of leading publishing journalist Laura Hazard Owen , in her extensive consideration, What the DOJ e-book lawsuit means for readers now at paidContent. Michael Cader at Publishers Lunch, for his part, writes What the Settlement Might Actually Cost Amazon and Barnes & Noble (subscription required). It seems to me that a lot of folks…don’t really understand quite what makes Amazon so interesting—and threatening, for that matter—to the publishing industry. Firstly, it’s not an accident that Bezos’ start-up targeted the book trade. Bookselling in 1994 was a notoriously backward-looking, inefficient, and old-fashioned area of the retail sector. I’ll have a bit more about DRM shortly — an intriguing wrinkle in that debate I’d never come across — but I’d first like to “put the period on it” here, as my grandfather used to say. Who better to put the period on it than one of our least flappable observers in publishing? Don Linn, as often as we could use his interpretation on so many issues in the publishing diorama here, is not frequently given to writing for us. So I’m indebted to Jenn Webb at O’Reilly Media’s Radar for doing a short interview with Linn to get some of his input on what we’re seeing before he headed to the London Book Fair this week. The headline — The anchor on ebook prices is gone. Now we’ll see where they float — reflects an important reminder to get the consumer back into the picture, if you’re to understand this entire scenario. The combination of the lawsuit, circumstantial evidence that’s been revealed, and settlements by several of the parties, is a very big event. The point I think has been missed in much of the discussion is the perception that the agency model — and the alleged collusion that had led to it — affected consumers negatively via higher prices. The price umbrella agency effectively created benefitted only the alleged co-conspirators. I’m not an attorney, but I believe that Macmillan, Penguin and Apple have a very difficult legal battle ahead. One I doubt they can win. Consumers get the immediate benefit of lower prices, though there are those who argue that Amazon, once it controls the market, will ultimately raise prices for their locked-in consumers. The DOJ may have inadvertently created a less competitive marketplace with this action, though I feel sure they will be back if Amazon or any other party misbehaves to the detriment of consumers. As far as I know, Laura Hazard Owen’s piece on Larry Kirshbaum’s talk at Stony Brook Southampton is an exclusive for paidContent. In Larry Kirshbaum shares many more details on how Amazon Publishing will work, Owen captures some enticing lines from Kirshbaum’s onstage interview with Daniel Menaker. There’s much more in Owen’s story, have a look. If the publishers dislike the power Amazon has over them, they need to recognize they shoulder much of the blame, since they helped to forge the DRM chains that have kept them shackled to the company’s platform. Why not break those chains and try to set their content free instead? That’s Mathew Ingram at GigaOm in Note to publishers: Your addiction to DRM is killing you. That seems unlikely, since it is relatively easy to get around those locks and copy a book if you really want to. What is pretty clear, however, is that those rights-management locks have cemented Amazon’s control over the publishers’ content. Ingram places a challenging scenario before publishers, though, at a time when they may not feel they have the resources to handle it amid so much transition. I think Christopher Mims of MIT’s Technology Review is right when he says the only option for publishers is to embrace the disruption that digital provides and do their best to disrupt themselves — and Amazon — rather than setting up artificial barriers. No-DRM has suddenly moved from the fringe to the mainstream. The central reason is the DOJ and how the playing field has tilted in Amazon’s favor. Without DRM (and certainly if Amazon decides to make ePub available), wouldn’t Nook etc. owners be more easily able to buy from the Kindle Store, just as Kindle owners would be more easily able to buy from B&N? This is author Barry Eisler in a long exchange about DRM on the private Reading 2.0 list. I use his comments here — with his kind permission — because I think I may not be the only person to whom this point hadn’t occurred. In general, we tend to think that dropping DRM would benefit online retailers outside Amazon’s “walled garden,” as it’s often called. But what Eisler is suggesting is that readers might take advantage of the change to move toward Amazon, not away from it, because of its superior service environment. My guess is that because (IMO) the Kindle Store is a better shopping experience than the B&N store, this movement would not be symmetrical, and if I’m right, then Charlie’s (Stross) assumption that the end of DRM would cause an overall move away from the Kindle Store is mistaken. In fact, we could see the opposite — and I expect we would. In the same private discussion, Mike Shatzkin acknowledges the possibility Eisler raises as being “very real,” and gives me permission to include that confirmation here. The world of literature lacks the scandal, hype and pretty dresses that draw people to the Academy Awards, which, by the way, is not an institution devoted to choosing the best movie every year as much as it is an institution designed to get people excited about going to the movies. The Pulitzer Prize is our best chance as writers and readers and booksellers to celebrate fiction. Author Ann Patchett, in her Times op-ed piece And the Winner Isn’t …, has become a rallying figure for many of us angered at the feckless Pulitzer board’s inexcusable failure to award a fiction prize. We learn from Lynn Neary’s interview with fiction jury member Susan Larson on NPR’s Morning Edition — Not Since 1977: No Pulitzer Awarded For Fiction — that her panel of three did indeed forward the short list.”We were all shocked. We were angry, and we were very disappointed,” Larson says. Larson, Pulitzer winner Michael Cunningham, and critic and literature professor Maureen Corrigan read 300 novels to produce the short list. The fall-through came when the 18-member board voting on the three jurors’ recommendations, failed to choose a winner. One solution— the obvious one — would be to let the jury who reads through the 300-odd works of fiction make the final decision as to the winner. We were invited to serve on the jury because we’re recognized as being, in some way, literary experts. Why, then, turn the final decision over to a board primarily composed of non-literary folk? But for this year, the prize is lost, and clearly Sig Gissler and the Pulitzer Board members should be ashamed of themselves. This was the year we all lost. Surely one reason the Pulitzer Board’s ineptitude hits so hard is hinted at in Rachelle Gardner’s Today’s Publishing Landscape: What Do You See? I see a higher level of stress surrounding publishing than I’ve ever seen in 17 years in this business. My initial thought, when I read Gardner’s post on Wednesday, was to annotate some of her main points with background on the issues she’s listing. Then I realized that — with Writing on the Ether covering these factors weekly — the last thing we need is another recitation. What’s clever and useful about Gardner’s synopsis of tensions is that it takes the effects of many publishers’ abdication of their responsibility out of the central publishing core — not that much is left of it — and situates it at ground level, where the authors are. Here are some of Gardner’s points. I see authors pulled in too many different directions, no longer having the “luxury” of focusing on just writing the best book they can, but needing to be experts at marketing and social media too. I see a totally unnecessary “us vs. them” mentality when it comes to traditional publishing vs. indie or self-publishing. I see tremendous potential for many authors to take advantage of both avenues. I see people trying to demonize agents and other “middlemen” or gatekeepers whose role has been to facilitate the connection between writer and reader, claiming all the middlemen will be extinct. I see technology companies and certain giant online retailers profiting much more than publishers or authors in the new economy of publishing. I see a stunning amount of disagreement over where publishing is headed and where we’ll all be in five years; the only thing anyone agrees on is that things are changing too fast to keep up with. We will not use the patents from employees’ inventions in offensive litigation without their permission. What’s more, this control flows with the patents, so if we sold them to others, they could only use them as the inventor intended. The full text of what Twitter calls its Innovators Patent Agreement (IPA) is posted here to read at GitHub. Companies that actually recognize that “standard operating procedures” are a problem are plentiful. Those that actually do something different because of it, are rare. NB: We made a simple math error below the first time; the correct number of what this might cost Barnes & Noble is $55.5 million, not $30.5 million. That note is just fine at the top of Michael Cader’s piece at Publishers Lunch, What the Settlement Might Actually Cost Amazon and Barnes & Noble. The error hasn’t been corrected in the copy. Maybe you’re supposed to remember the fix when you get to the wrong number? Somehow you’re expected to hang on to the right figure in your mind and remember to substitute it when you miraculously recognize the bad numerals? I’m not picking on Cader here. It’s a common mistake, I come across it a lot. This is just the latest instance of it I’ve seen. The problem is that bad info has been left in the body of the story. It looks perfectly good. It’s ready to be read by a Publishers Lunch subscriber as accurate. It’s also ready to be picked up by some unsuspecting person for use somewhere else. The right way to make a correction is with a note, as Publishers Lunch does, and with the corrected copy in the proper place in the story. Don’t leave wrong info anywhere in your work. Like the Shakespeare of The Tempest, Burroughs is preoccupied with language. He may not deploy it with unfailing elegance, but he is in awe of its existence. Caliban finally rues his acquisition of speech from Prospero, but Tarzan reveres every word he gains through the effortful decoding of those inky “little bugs” in what he didn’t even know were books. The Language of Men by Thomas Mellon is excerpted in the Paris Review, and delivers a less abrasive and worshipful encomium to Edgar Rice Burroughs than I feared we might be in for. 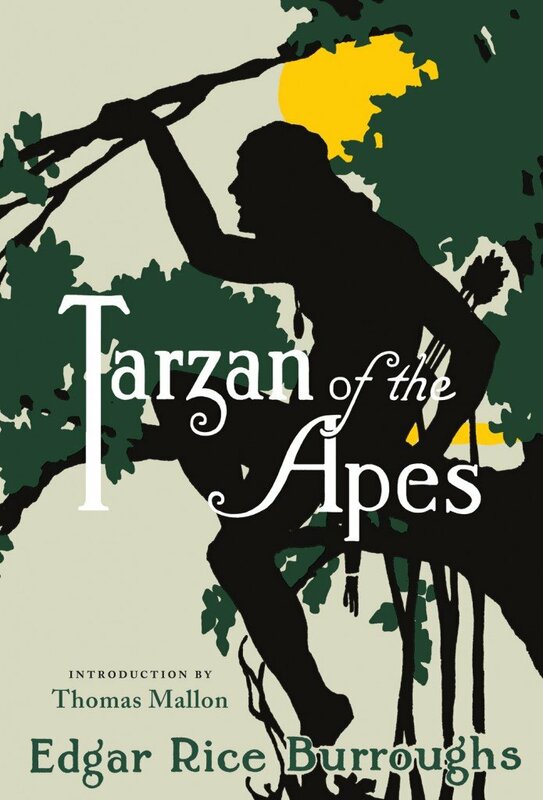 The provenance of the piece is the Library of America’s new edition of Tarzan of the Apes, with Mellon’s essay as its introduction. The article forms an interesting, short meditation on what once made a hero, and what’s required now. Sure, with publishing’s pants down around its ankles, we all “get” to be “our own heroes” now. This all looks like another of those “great opportunities” to the glass-half-full fools who always claim to love these these bad times we get ourselves into. But those inspi-vational jackasses will want to steer clear of me, I’m in no mood. Nor should you be. A lot has been taken from all of us — from readers, who are our customers, as well as from practitioners in the business of books, all sectors. It’s time our pundits, with whom I started this edition of the Ether, get past the playground murder-ball frolic of one-upmanship. Nobody cares which pundit is “right.” And pundits too easily forget that it’s not about them. When our biggest publishers’ executives decided to take matters of the marketplace into their own hands, they overreached. We trust they told themselves that the needs of the industry guaranteed fair play and moral performance. Surely they arranged their consciences to say that they were acting as “the men in the books would have acted,” per Mallon. We have all made mistakes. Even big ones. Some of us. And we’re not Greystokes, are we? This week, I watched as two key people (you’d know them if I told you) on the private Reading 2.0 list got into a tiff with each other over the phrase “nest-feathering.” The stress really is very high. “Tarzan swung himself to the trees once more, and with swift noiselessness sped along high above the trail”: this is not the mechanized flight that readers of 1912 were hearing about and even beginning to experience; it is closer to the way we imagine ourselves flying when we’re asleep. Moving fast, through the air, safe, worthy of being rescued and held: it’s the stuff of our deepest dreams. We’re going to need some new dreams here. The lords of our jungle have missed their vines. Here’s the Q2 Music player for you. Q2 is an NPR-affiliated free 24/7 stream of music– living composers, many of whom write for Hollywood as well as for the international concert stage. Writerly music, via this player or in the Radio section of iTunes. Porter (@@twitter-39469575:disqus Thanks for dishing it all up so we can make our own sense out of this chaos, like you always do. I have come to rely on The Ether to keep informed even though I often times have to reread it several times before it sinks in. I echo @jillkemerer’s appreciation of all the time and effort you put in to not only curating these topics so thoroughly but also to provide indepth responses to our comments. And I do agree , we will win a few and lose a few in the process. At least we’ll be informed:-) You’ve earned some post-Ether R&R this weekend. Enjoy! Good to hear Porter @porter_anderson:twitter We all need a break from all this excitement now and then. I welcome a new look at “Amazonia” per @brianoleary:twitter and @gluejar:twitter . After all, they seem to be doing an awful lot of things right these days. Well, like you always say, buckle your seatbelts. We’re in for a wild ride! I’m having issues with the reply button! Well, I appreciate the amount of time and effort you put in, not just to write these, but also to respond to comments. Thank you. Funny you should mention choreography. One of my favorite books is The Creative Habit by the amazing choreographer Twyla Tharp. You’re right–it takes firm focus to produce a dance, a book, a career. Nice to hear Twyla’s name again, Jill ( @JillKemerer:twitter ) — I was covering Spoleto when she and Misha Baryshnikov premiered their Sinatra piece, quite amazing, I must say. If you’d like to follow her, Twyla’s on Twitter, you know, at @TharpTwyla:twitter Cheers!